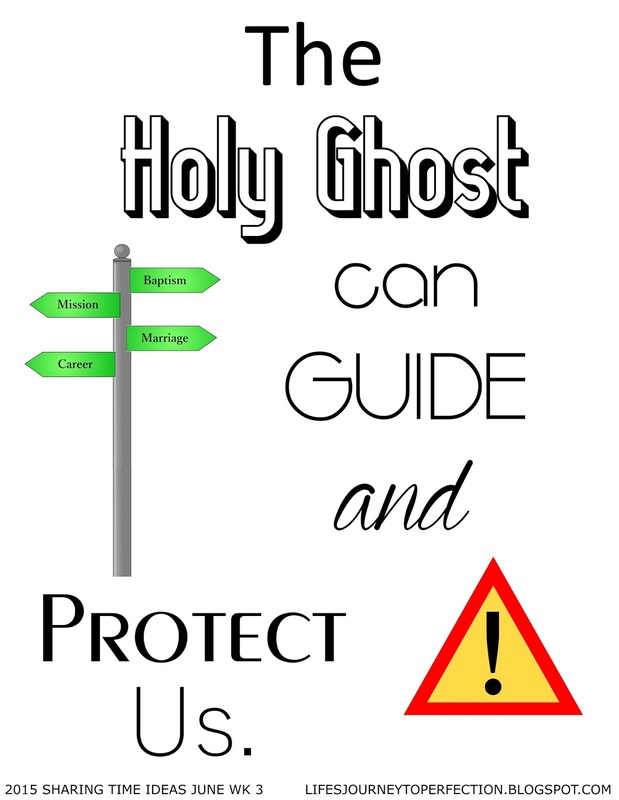 Life's Journey To Perfection: LDS Sharing Time Ideas for June 2015 Week 3: The Holy Ghost can guide and protect us. June 2015 Scripture: “By the power of the Holy Ghost ye may know the truth of all things” (Moroni 10:5). 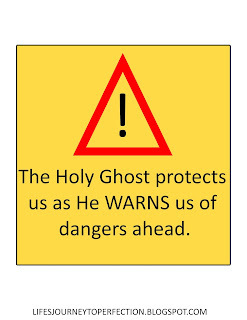 June Week 3 Topic: The Holy Ghost can guide and protect us. 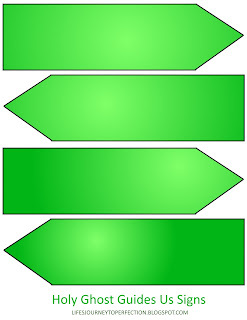 At the top of the board place the word "Guides Us" and the word strip "Protects Us". 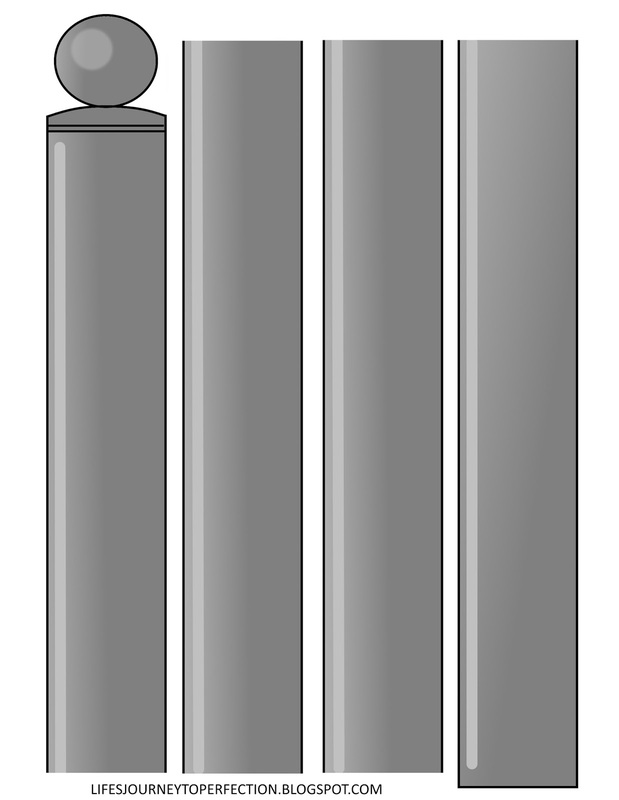 Explain to the children that you are going to tell them two different stories. 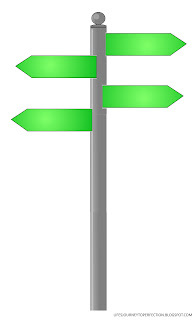 When you are done with the stories you are going to ask them which story talks about the Holy Ghost's guidance and which one is the Holy Ghost's protection. "When I was young, Primary was held after school in the middle of the week. One day when I was about six years old, I was walking from Primary to my grandparent’s house. While I walked, I was thinking about the Primary lesson my teacher had just given about “turning the other cheek,” rather than trying to get even. She had taught us that fighting and quarreling are contrary to the teachings of Jesus. “Sure. Why not?” Katja said. She pulled on her warm knitted cap and followed Michaela off the train. The two girls had often walked from this station to their family’s small apartment in Switzerland. They went down the stairs to the walkway under the tracks. As they got to the bottom and turned toward the exit, they both stopped. “We have to go back,” Michaela whispered. Together, they climbed the stairs, got back on the train, and waited. They were quiet, each thinking about what had happened. At last, the train started, and they rode to the station near their home. They walked home in silence. “Girls, what happened?” Mom asked, seeing the serious look on their faces. “Mom, the Holy Ghost prompted us not to walk home,” Michaela said. 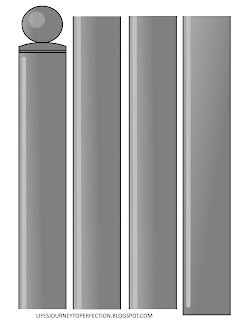 Invite the children to tell you which story was the Holy Ghost guidance and which story was the Holy Ghost Protection. 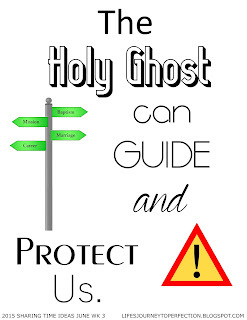 Show the children the week theme poster and invite them to repeat it, "The Holy Ghost can guide and protect us." 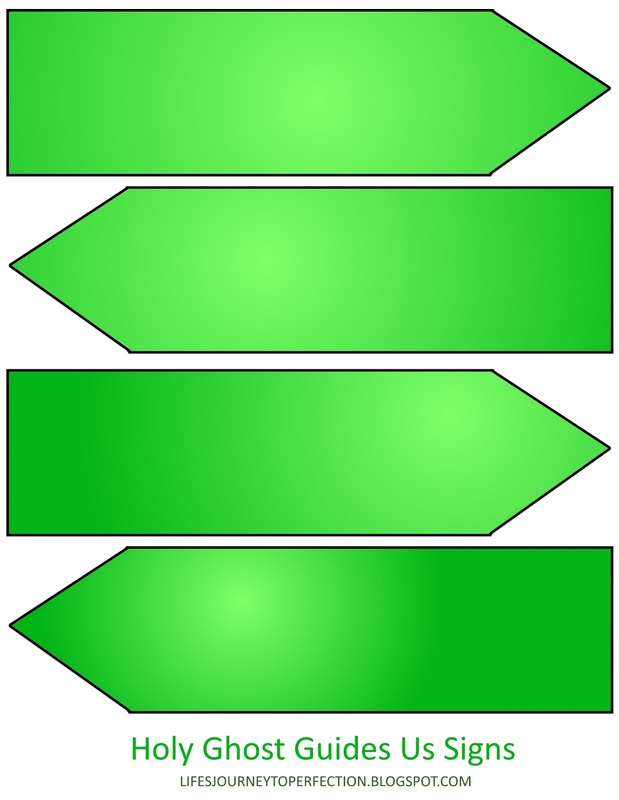 Place the following street sign diagram on the board (SEE PRINTABLES ABOVE). Invite the children to share with you some important decisions they might make, give them an example to start such as "To be baptized". Write what they share in the road sign boxes. Invite the children to share with you some things that they can be doing to invite the Holy Ghost. Explain that as they are doing those things then the Holy Ghost will be able to guide them when they have important decisions they need to make. Show the children the warning sign. 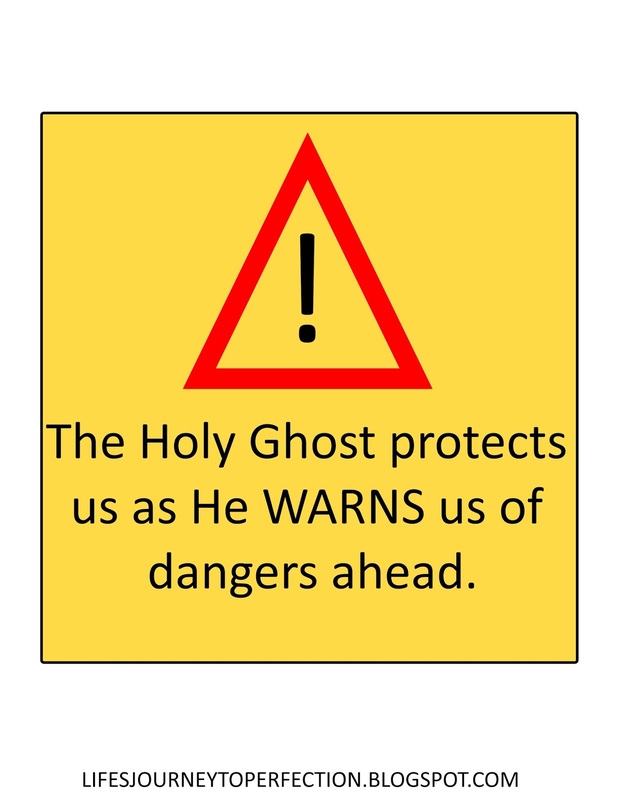 Explain that just like a warning sign on a road warns us that there are dangers ahead, so can the Holy Ghost. Invite the children to share any experiences they have had where they have been protected by the Holy Ghost. Share your testimony on the topic. Thank you! I so appreciate your time & talents to do this for us! This is so great. It is perfect for our primary. Thank you for sharing! I have come to your site several times and it is such a blessing. Thank you so very much! I like this idea- when the outline asks us to get outside help I always struggle with that b/c our ward is stretched thin so this is a great spin on it- thanks!